Android devices are used by everyone. In today’s modern time Android mobiles become our companion. Android devices are popular in youngsters because of their reasonable price and latest features like high quality camera, Large RAM capacity, High speed CPUs, Large Storage size, fast internet and much more. Another reason for Android device become popular is its large Market known as Google play store where a number of Android Apps are available for different purpose. Android device compete with computer in every field. Some time we are at different place and we have to access our PC to view some important files or control an action. Some time we have to guide a friend or relative about some steps of a particular App. So we need to Access their PC. We need a PC to Access their computer but sometime at the movement we have no computer. SO we depend on the the Android phone. Android phones are used to control the Computer. If you do not know how to control PC from Android device then this Article is really for you. In this article we are going to discuss step by step procedure to access or manage PC from Android device. How To Control PC From Android Phone. Follow the steps given below to set up your PC as well as your phone for controlling your PC from your Android Phone. Step 1. First of all you have to download Team Viewer on the computer that you want to access remotely. Step 2. Launch the program to your desktop by double click the TeamViewerQS-en.exe file. Step 3. After Launching the program you will see a window in numeric ID of that system and a password is given to access that PC. Note that user name and password for later use. 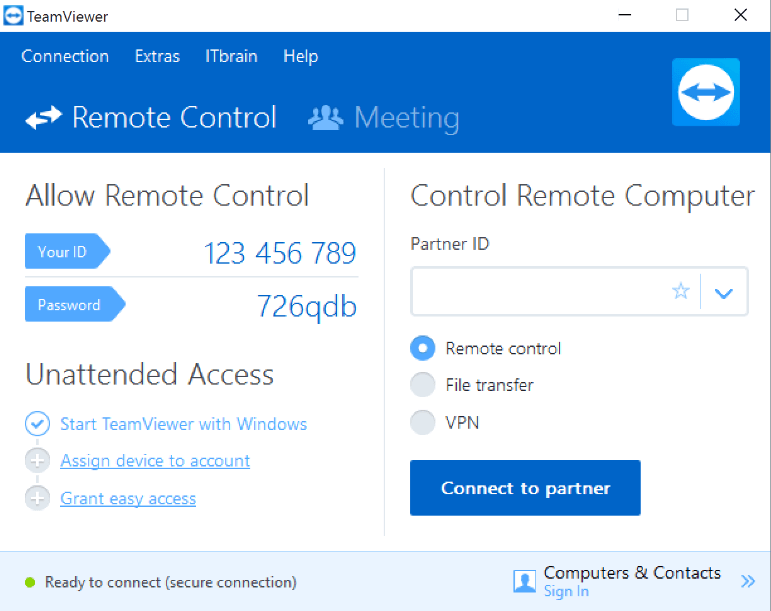 Note : You can also create a Teamviewer Account to gain unattended access and unlimited file access support. TeamViewer is one of the popular Android app to remotely Access PC from Android device. It is available on Google playstore for free. It provide easy Access to your remote computer without the interruption of firewall. We can access our PC at home to gain the necessary information. It provide you the full mouse and keyboard functionality and allow you to transfer file in both direction. Approximately 50 million people download this App. Step 1. Download and install Team Viewer from the Google play store or by clicking the button below. Step 2. 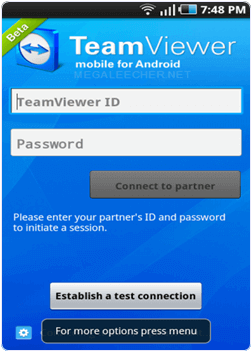 Launch the Team Viewer in your Android phone. After launching you will see a two boxes one for username and one for password. Step 3. Now enter the Team Viewer Username and Password of the computer to which you want to connect. After that tap the connect to partner button. Step 4. After connecting you will see the control instructions. Minimize them to see your desktop screen. Note : If enabled on PC, You can also browse the file system of your PC and transfer any file you want if the feature is enabled on the PC. In conclusion, this method is completely helpful if you want to remotely control PC from Android Phone. You can also use this method to remotely access a PC from another PC. If you need any help, feel free to comment below.